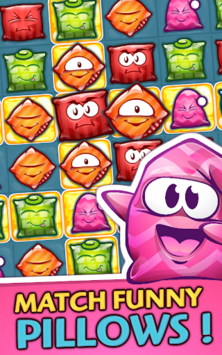 Play this brand-new MATCHING PUZZLE GAME! One pillow, two pillows… Match 3 or more happy pillows and meet the residents of Dreamland. Everyone will get hooked! Join Mia and her friends to travel through her colorful dreams. Start your adventure today! Funniest pillows in the world are waiting for you. Match-3 and collect funny pillows of the same color. Your moves are limited, so plan them carefully! Travel with Mia around Dreamland to discover uncommon obstacles. 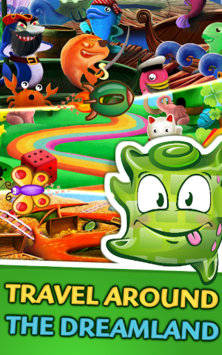 Explore exciting new levels and lands every week! Dreamland Story is a UNIQUE free MATCH-3 game! FREE updates including new levels, obstacles and more are published EVERY WEEK! Relax and make matches! ● COMPLETE over 2900 exciting levels, with new levels released every week! ● ADMIRE beautiful graphics of 145+ dreamtastic lands! ● DISCOVER two new obstacles every month! 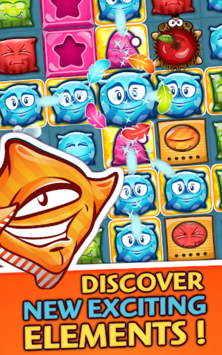 ● A highly ADDICTIVE Match-3 free game! ● You will NEVER be bored with it! Have fun and complete subsequent levels. We will provide you with unlimited access to entertainment! Over 925,000 fans can't be wrong! What are you waiting for? INSTALL and PLAY NOW!